In the early nineties of the last century i owned a CBR500FM. It was a downsized to 500cc version of the 600F1 specially for Austria due to ensurance reasons. I bought it new back then from my first few wages. I absolutly loved the colour scheme and was so proud when riding this bike. It was hard work to keep up with my mates on their twin cylinder bikes on the twisty roads of the alps. After a few years i lost focus, sold the bike and was off real motorcycling for about twenty years. In late 2016 i found an exactly similar colour bike while surfing the internet for cheap but in bad condition. Carbs stuck, screws missing, tyres 20 years old.... the previous owner didn´t even have a driving license and had it stored in a shed for many years. I accepted the challenge an brought her back to life over the following winter months. Nearly everything was torn apart, just engine bottom end i didn´t touch till now. 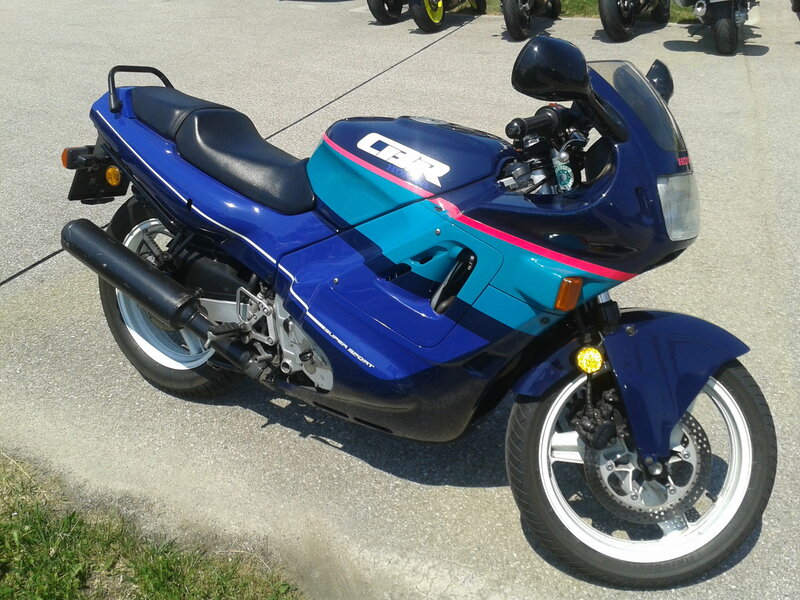 I had to learn a lot, but thanks to this forum i am proud again to own a CBR500FM! She rides like silk, buzzes through all rev ranges up to redline and has more than plenty of power for me. I hope i didn´t bore you out with this long speech.... and still may ask questions about one issue i couldn´t solve till now and wasn´t succesfull to find an answer by scanning several forums ?